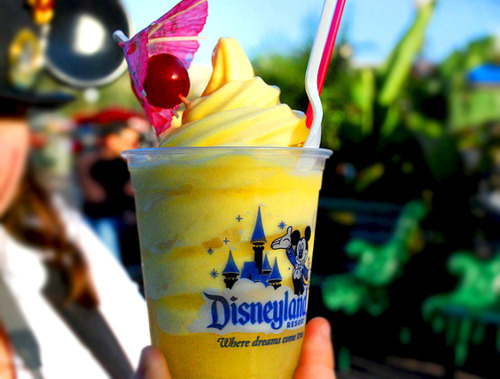 One of my favorite blogs, DCP Dreams Come True, recently wrote a post about how she unexpectedly got placed to work the Dole Whip station in Adventureland when usually she's in Frontierland. I read this post right before I went to sleep last night, so I had a very interesting dream that involved working at the Dole Whip booth that I thought it'd be interesting to share with you. What's really weird is that I've never had Dole Whip before...I didn't even know about it until I went to Disneyland last year!! I heard it's absolutely amazing. Next time I make a trip/go to the College Program, I'll be sure to try one! wow talk about looking into the future! you got quick service food and beverage, and you worked at one of the few places that sells dole whip! Oh my gosh I've totally forgotten about this! That is so true! Now I'm totally addicted to Dole Whip...crazy how that works out!